The so called Antonio Armani is a taken name, why is he pretending to be Italian when he in fact is indian. He can pretend to be the pope for all i care…its completely irrelevent. » He can pretend to be the pope for all i care…its completely irrelevent. Is it really, if you lie about you name and heritage why would you not lie about you backgrond as a FUE specialist and results, we have all seen his kind of marketing as that one with Leonardo Da Vinci. Its bogus from start to the end, almost all results look pretty unnatural including Pats who has coloured his hair to look more natural. » kind of marketing as that one with Leonardo Da Vinci. » including Pats who has coloured his hair to look more natural. Yea but people change their names all the time…actors, musicians etc. Its just a marketing ploy. So what??? I’ve no idea what alvi armanis real name is and i couldn’t care less. Elton Johns real name is reginald dwight. Do you consider him bogus and a liar? Trust me, i’m no fan of armani but what he chooses to call himself is his own business. » » kind of marketing as that one with Leonardo Da Vinci. » » including Pats who has coloured his hair to look more natural. » Yea but people change their names all the time…actors, musicians etc. » Its just a marketing ploy. So what??? » I’ve no idea what alvi armanis real name is and i couldn’t care less. didnt know that. i always wondered why alvi armani has the same name like the famous fashion designer from italy. And what the sister also changed her name to sara armani,i dont think so!!! what in the hell does this have to do with hair transplants? » what in the hell does this have to do with hair transplants? Yes but is he an actor or musician, no he is a doctor for christ sake,he choosed this name so it would appear that he have som connection to the famous Italian designer and ride on this goodwill. In the end his results count but I hate arabs and indians calling them Italians when they are not, stand up for your self and you heritage. » » what in the hell does this have to do with hair transplants? » » this is ridiculous. » famous Italian designer and ride on this goodwill. » Italians when they are not, stand up for your self and you heritage. If he wasn’t Saddam Hussein but apparently had the same name, then wtf would be the matter? Papacito, I went to Armani in 2006 because I thought he was putting out the best results . His heritage did not influence me in any way. I spent nearly forty five minutes with Dr. Armani during my consult. I am of Italian heritage. My family comes from Calabria which is located in Southern Italy. I speak Calabrese, which is a dialect. Dr. Armani spoke to me in proper Italian. I thought that was cool, but the bottom line for me was that he gave me a great HT, thats all that really mattered to me. Papacito, BS like this is encouraged and tolerated at HTN. I can not believe what some of you people come out with. » » » what in the hell does this have to do with hair transplants? » » » this is ridiculous. » » famous Italian designer and ride on this goodwill. » » Italians when they are not, stand up for your self and you heritage. » then wtf would be the matter? If he is lying abou his heritage, what is next…maybe he lies about his doctor licence, maybe that was also bought in some other guys name in India? Would you trust a doctor who lies about this things, why would he not lie about you procedure and risks taken by you, or morst important what will happen to your looks when your hairloss proceeds beyond the dense hairline. You’re not here to “discuss” this. You’re here to start something like a gossipping woman. Put it like this, even if he had changed his name, that’s none of your business or mine. Maybe he did it for personal reasons or whatever…has nothing to do with you and you are NOONE for him to sit you down and explain to you why he changed his name if at all. Personally, I don’t believe it. I know when someone is from India or Italian when I see them…and it’s never crossed my mind that he’s Indian, Chinese, African, or a Blue man from mars. And for you to come out of the closet and say “I hate indians and Arabs” shows your real character and brought the real you out fo the closet. Let’s not discuss if Armani is Indian Italian Chinese or African…let’s discuss why you are such a rascist pig? People like you belong on the other side of the fence with the Nazis. I am changing my name this summer (my first name) and I will not go around to my new customers and say “oh by the way i changed my name from this to this…just for the record”. Give me a freakin break. Wtf does this have to do with a hair transplant? 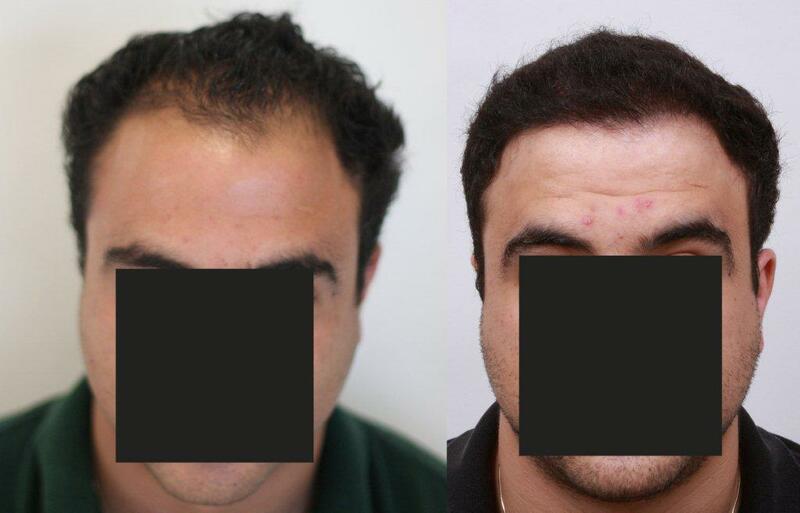 Are you looking for a hair transplant? Have you had a hair transplant? because for someone who is totally new to the forums an starts this thread sure raises eyebrows. Pack your bags and go back to HTN and don’t bring that crap over here. » » » » what in the hell does this have to do with hair transplants? » » » » this is ridiculous. » » » famous Italian designer and ride on this goodwill. » » » Italians when they are not, stand up for your self and you heritage. » » » Saddam Hussein??? » » then wtf would be the matter? When I chose my doctor I based my decision only on the results I was seeing, how happy the patients were who went to their particular doctor and the track record of the individual clinic. Were they consistant and did they stand behind their results. I chose Dr. Armani because in my opinion, he was consistantly producing better, more natural looking results then any other clinic out there. I would also like to add, I have been working for the clinic for just about a year now and I have never seen an individual who works harder or dedicates more time to his work or his patients then Dr. Armani. He truly cares about his patients and each result that he produces. » Italian when he in fact is indian. It’s called branding. Many businesses do this. Samsung produced a phone called armani. That does not mean they cannot make phones, it’s just an image. I guess the Armani clinic want a high fashion image rather than a clinical one. That is their choice I think and your choice not to use them or not to buy a samsung armani phone if that ofends you. » » Italian when he in fact is indian. » or not to buy a samsung armani phone if that ofends you. Ig you read my first post you will see that I dont make critics about his results but I wonder how trustworthy some clinic is when the people in charge lie about their background, what is strange about that? If Alvi Shinawatra or what his real name is has been studying in Italy or can speak the Italian language, no problem, there is many people from all the world studying in Italy but they dont chnage their name to Armani, Versace or Dolce Gabbana. We have heard before in this forum about docs that maybe not was really docs. I think it is important for all newbies to know the truth behind every clinic not matter what so they dont make the biggest mistake of their life.